2+2=5. 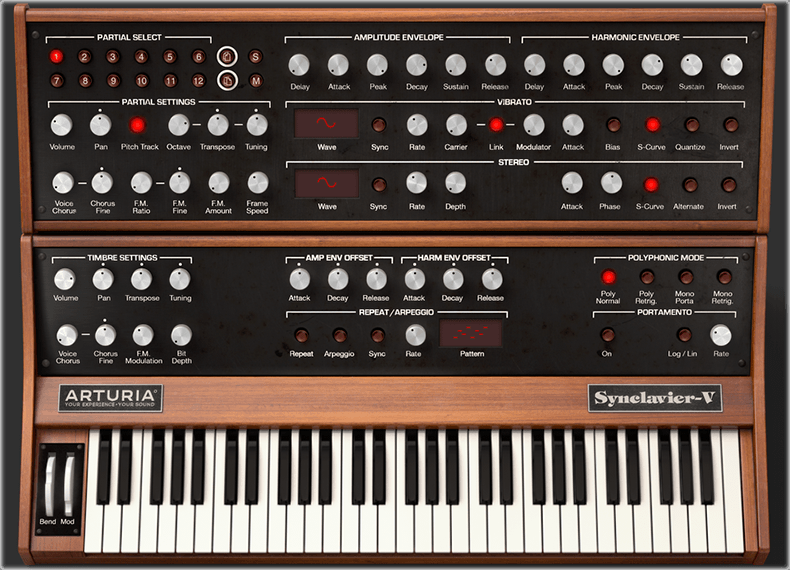 The great minds from Synclavier Digital and Arturia combined to create the greatest ever Synclavier. The V is a plugin for DAWs and works on Mac and Windows PCs. The DSP from the original Synclavier II instrument has been reengineered in C code and enhanced, by Cameron Jones, one of the original inventors. Arturia have developed a super-slick powerful User Interface. 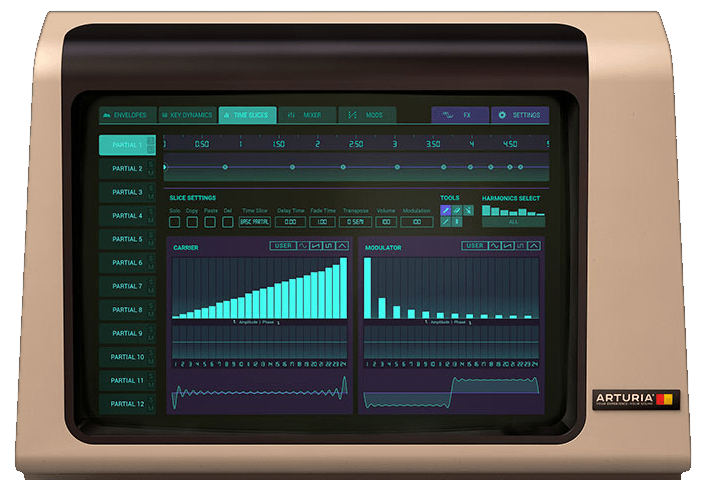 The Synclavier V Software instrument brings the incredible sounds of this wonderful instrument to your computer or digital audio workstation. If I already have Synclavier Go!, do I need V? They’re different products aimed at different user-bases, but they have a lot of cross-over. There are certain features unique to each. Some people prefer working with the touch screen of an iPad to do their sound design. But some people prefer the highly-graphical views of V, for instance volume envelopes. If you primarily work with a DAW on a computer, you can use V and have it totally integrated, or use Go! as an outboard Synthesizer.